Every business that advertises online is seeking ways to improve conversions. It’s getting more challenging all the time to see a positive ROI on Facebook ads, Google AdWords, and other online advertising platforms. As competition gets fiercer and consumers more discerning, you need more sophisticated tactics for conversion rate optimization. Let’s look at some of the strategies that are best for improving the effectiveness of your online ads. There are many approaches to conversion rate optimization. You can and should pay attention to elements such as your ad copy, images, keywords, headlines, and landing pages. In many cases, however, the problem isn’t with these issues, important as they are. Even more fundamental is the overall perception people have of your brand. Building brand awareness and affinity help you increase the effectiveness of your online ads. That’s because people are more likely to buy from someone whose name they recognize and who has already built up a certain degree of trust in their minds. The following guidelines will help you get a better ROI for your online advertising campaigns. Build your email list. An email list is an effective and economical way to increase trust and brand awareness. Even if people don’t buy from you directly when they see your messages and newsletters, you’re engaging with your audience and familiarizing them with your brand. Advertise on multiple platforms. 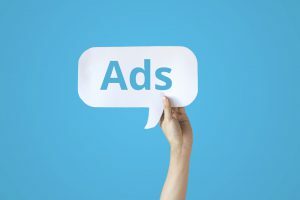 For example, if you’re currently focusing on paid search campaigns such as AdWords, display ads or remarketing ads, you should also test ads on other platforms such as LinkedIn, Facebook or Twitter. Keep in mind that ads increase your visibility even when they don’t produce immediate sales. Offer a variety of ads. When you place ads in diverse formats such as sponsored posts, videos and pay-per-click ads you widen your potential audience and give the same viewers a chance to see your message from different standpoints. Maintain a consistent brand presence across platforms. Whether you’re marketing online or offline, you want to stay consistent with the style, imagery, and language you use. Using your logo as much as possible, using similar fonts, colors and layouts and a similar tone on your website and in your emails, ads and social media sites help make your brand more recognizable. Use organic content that complements ad campaigns. This works particularly well on Facebook, where you can use paid ads that link to your Facebook Page or posts. Any solid content, however, whether in the form of blog posts, videos, podcasts, tweets, or anything else that appears where your audience is active helps to build brand credibility. The content helps establish you as an authority, making people more likely to respond to your ads. There are many strategies that can help you improve the effectiveness of your online advertising. You should always test and track the various elements of your ads. However, keeping the above brand awareness tips in mind is another effective conversion rate optimization strategy. Keep in mind that everything you do online reflects on your brand. People seldom buy something after seeing only a single ad. They view your ads and other content with certain preconceptions in mind. Building up some brand recognition and trust increases your credibility and influence. Online advertising can be a substantial investment for your business. Some businesses find it challenging to maintain a healthy cash flow. If you’re facing this dilemma, one solution is to use invoice factoring, a creative type of financing that provides you with immediate cash for outstanding invoices. When you have more cash on hand, you’re in a better position to launch aggressive marketing campaigns. For more information about invoice factoring, contact Riviera Finance, an industry leader for nearly 50 years.